Axiobionics, an Ann Arbor-based medical device company, has launched a new category of devices to help improve walking in patients with paralyzed limbs. 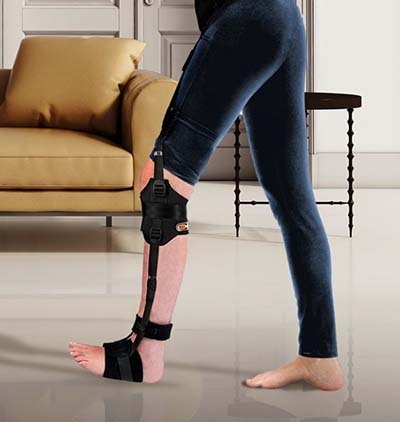 The new device also is targeted to people who don’t have proper muscle control in their hip, knee, or foot. Muccio says Tripleflex use the body’s natural motion and muscles to its own advantage. The device can help patients with foot drop, a condition in which the foot doesn’t have the proper muscle control to lift from the ground, causing patients to trip and fall. He says when the entire lower limb is weak, the hip and knee also drop. Foot drop is a common problem in patients with neurological conditions such as multiple sclerosis, brain injury, and stroke. Axiobionics designs, manufactures, and fits medical devices for conditions affecting the musculoskeletal and nervous systems. Previous articleFord Moves Production of F-650/F-750 from Mexico to U.S.